The two-piece suit is perhaps the most common formal outfit worn by men. Consisting of a suit jacket and matching trousers, it’s been around for more than a century. And while certain features have changed since then, the two-piece suit is still based on the principle of wearing a suit jacket and matching trousers. It’s a simple, attractive and highly formal style that’s perfect for the modern workplace and other formal occasions. But if you’re looking for classic two-piece suit that’s able to withstand the hands of time, you should pay attention to the design elements. Two-piece suits featuring a classic, timeless style can be characterized by the following design elements. A classic two-piece suit should feature either three or four buttons on the jacket cuffs. The cuffs are the wrists on your jacket. With the exception of open-cuff jackets, most classic suit jackets feature three or four buttons on the cuff. You can’t go wrong with either a three- or four-button cuff style. However, jackets with fewer buttons on the cuffs generally offer a more formal appearance. So, if you’re planning to attend a formal black-tie event, consider choosing a suit jacket with three buttons on the cuffs instead of four. Suits are made in dozens of fabrics and materials. But if you’re trying to create a classic style, it’s recommended that you choose a suit made of a natural plant-based material. Some men’s suits are made of synthetic materials like polyester and polyester blends. Synthetic materials offer certain benefits, such as increased elasticity and protection from moisture. Unfortunately, though, they don’t offer the same classic style as their natural plant-based counterparts. Plant-based materials like cotton, linen and wool have been around for countless years. Even today, they are among the most popular materials in which men’s suits are produced. Both single- and double-breasted suit jackets can offer a classic style, but you’ll need to ensure that they are properly designed. A single-breasted jacket should feature a very small, narrow section of overlapping fabric when you fasten the buttons. A double-breasted suit jacket, on the other hand, should feature a larger, wider section of overlapping fabric. Furthermore, double-breasted suit jackets should feature two columns of buttons on each side, one of which is functional whereas the other is decorative. While speaking about the buttons on a suit jacket, it’s worth noting that single-breasted jackets — the most popular and common style worn today — should only feature two or three buttons. 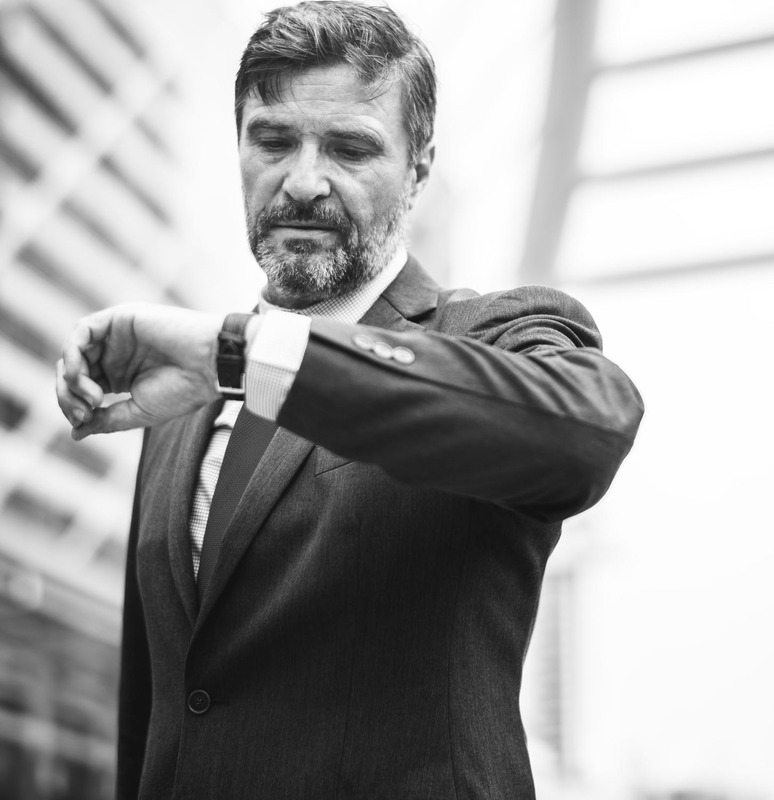 You can still find suit jackets with four, five or even six buttons, though it’s relatively rare because of the popularity surrounding the classic two- and three-button style. When wearing a single-breasted suit jacket with two or three buttons, a good rule of thumb is to leave the button undone. If it has two buttons, only fasten the top button. If your suit jacket has three buttons, fasten the top and middle button but leave the bottom button undone. For a classic look, choose a suit with either notched, peaked or shawl lapels. Notched is the most common lapel style, featuring a 75- to 90-degree angle where the lapel connects to the collar. Also known as steeped lapels, peaked lapels are also common in men’s suits. They are wider and more prominent than notched lapels, making them ideal for formal events and occasions. But whether you prefer notched, peaked or shawl lapels, any of these three lapel styles can help you can create a classic look. How many breast pockets does your suit jacket have? Classic styles generally have a single breast pocket. It may be on the left, or it may be on the right. Regardless, classic men’s two-piece suits typically only have a single breast pocket. When wearing a suit jacket, you can use this pocket to display a pocket square. This small piece of fabric — usually in a colorful design — can enhance the appearance of your suit. Just fold your pocket square neatly in the breast pocket of your suit, at which point it will provide new colors to break up your suit’s design. Ready to Wear: These suits are sold on retail clothing racks and shelves in predetermined shapes and cuts. Made to Measure: A step up from ready to wear, made-to-measure suits are altered to create a better fit. Bespoke: Finally, bespoke spokes are custom-tailored and cut from a measured piece of fabric. Avoid ready to wear suits, and instead choose a suit that’s designed according to your own body measurements, such as those offered here at StudioSuits. Here, you can purchase a custom-sized two-piece suit to create a picture-perfect classic look. When ordering, you’ll have the option to provide us with your body measurements. 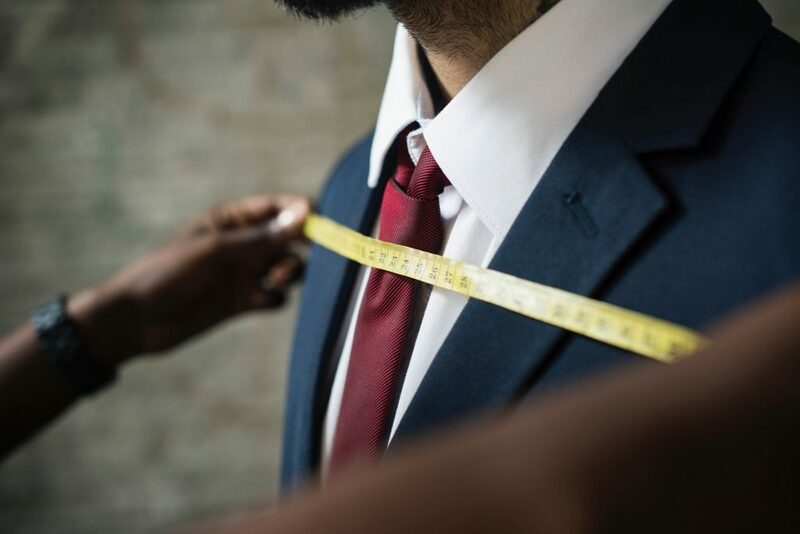 You give us your body measurements, and we’ll use those measurements to create a classic two-piece suit that fits just right. In the past, virtually all two-piece men’s suits featured a single, solid color. Of course, this is no longer the case. There are now men’s suits that feature multiple colors as well as various prints and patterns. There’s nothing wrong with experimenting with some of these alternative, modern styles. But if you’re trying to create a classic look, you should wear a two-piece suit featuring a single, solid color. Both black and navy are excellent colors for a suit, though other classic choices include taupe, heather gray and charcoal. This entry was posted in Suit Tips. Bookmark the permalink.